Speciaties: Design for mechanically stabilized earth retaining walls, structural earth retaining walls, soil nail retaining walls, solider pile retaining walls, and bridge foundations; earth retention consulting, displacement-based global stability analysis, embankment stability and settlement, ground improvement. 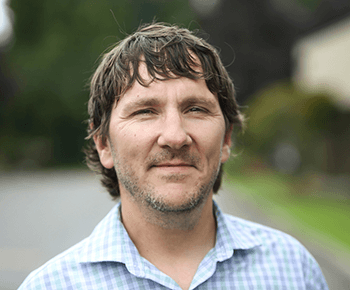 Rob specializes in all things retaining wall and has been the engineer of record for over one million square feet of retaining wall face in the greater northwest. He has extensive experience in the design, analysis, and construction of mechanically stabilized earth, structural earth and soil nail retaining walls. He provides design and consulting services for a wide variety of public and private projects that involve retaining walls and temporary excavation shoring. Rob also has significant experience with design-build transportation projects, including development of geotechnical baseline and data reports, AASHTO LRFD foundation and retaining wall design, quality management plans, efficient comment resolution, agency design negotiation, and development of innovative geotechnical solutions. As Zipper Geo CFO, Rob is responsible for the firm’s finances. In ninth grade, Rob became fascinated with problem solving and math while sitting in a computer lab inventing BASIC routines to create dynamic graphics. Growing up in a beautiful north Idaho mountain town, he was also fascinated with the outdoors. These passions came together in a summer internship with the Idaho Department of Transportation. This led him to the study of civil and geotechnical engineering, which eventually became his career path. Rob volunteers with the WATCH D.O.G.S. school-based father involvement program and contributes his musician skills to community music benefits. Outside the office, you’ll find him pursuing one of his many outdoor interests—climbing, snowboarding, hiking, river rafting, and mountaineering. Or you might catch him strumming on an old guitar at a local open mic.